Regular exercise and physical activity are important to the physical and mental health of almost everyone, including older adults. Being physically active can help you continue to do the things you enjoy and stay independent as you age. Studies show that regular physical activity over long periods of time can produce long-term health benefits. That’s why health experts say that older adults should be active every day to maintain their health. In addition, regular exercise and physical activity can reduce the risk of developing some diseases and disabilities that develop as people grow older. Exercise can even be an effective treatment for many chronic conditions, for some cases. For example, research shows that conditions like arthritis, heart disease, and diabetes benefit from regular exercise. And even elderly people with other chronic illnesses can exercise safely! Exercise and physical activity are great for almost everyone, including seniors. There are four main types of exercise: endurance, strength, balance, and flexibility. Each type is different and beneficial in its own way. However, a combination of all four will give you more benefits. Endurance activities are those that increase your breathing and heart rate. This type of exercise includes activities like swimming, brisk walking, biking, and dancing. Strength exercises are meant to make your muscles stronger. It includes lifting weights or using resistance to build strength. Balance exercises are meant to better your balance to prevent fails. Lastly, flexibility exercises help your body stay limber by stretching your muscles. What Exercises Can Seniors Do? A combination of the four types of exercise yields the best results, however, not everyone can tolerate endurance and strength exercises. That is why it is important to discuss with your doctor which exercises are safe to do. 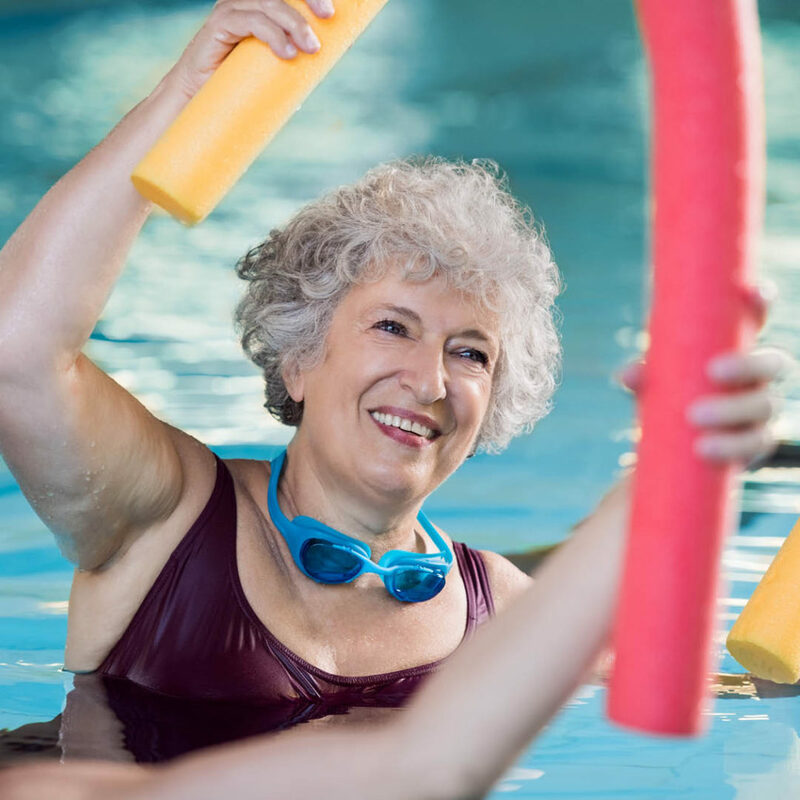 Seniors with limited physical abilities will have to go about exercise more carefully than others, but they do not have to dismiss it entirely. With proper instruction and guidance, anyone can learn activities and exercises that improve mobility and strength. If you are still worried about beginning exercises, try activities in a class setting with proper supervision by a trained professional. Also, consider exercises that are low-impact like swimming. If you or a loved one is beginning to have trouble with everyday activities such as exercising, it may be time to consider home care services. All Best Home Care offers a wide variety of home care services for elderly individuals. Call (502) 456-2273 today to learn more about the help we can provide.